A New Dawn, a New Day, a New Place! Rachel Duncan sits at her desk just outside the office of Phil Little, Managing Partner of McMurry & Livingston. Directly in front of her is a tall paned window that perfectly frames a virtual piece of art—within the frame white billowy clouds are painted onto a cerulean sky. Beneath them is an uninhabited island lush and green with the sudden appearance of leaved-out trees reaching towards the summer sun. Lapping at the island’s edges is the mighty Ohio, the watery streetscape for barge traffic that plies its way up and down the river as it has for centuries. 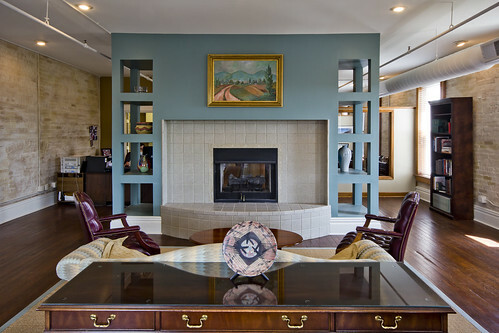 This is the viewpoint of the new corporate offices of the law firm of McMurry & Livingston. Generations of McMurry & Livingston barristers have worked in the heart of downtown Paducah for more than half a century. 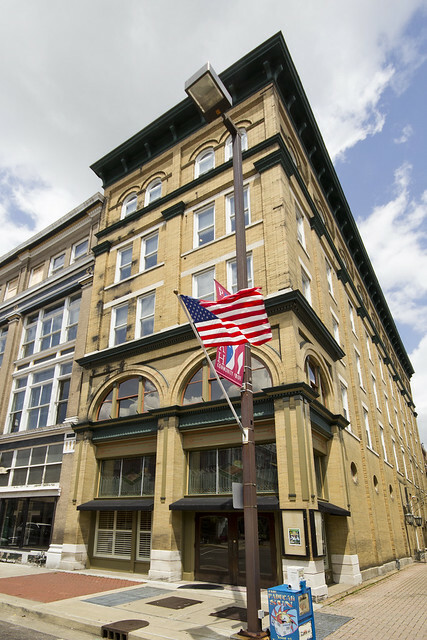 Throughout the group’s many years downtown, it has been housed atop what was, for most of the firm’s recent past, the Citizens Bank building’s 7th floor. These were most definitely rooms with a view. Mike Livingston and Pelham McMurry started the firm in the 60s. And from that time until the spring of 2014, the firm was firmly planted above Broadway at the corner of 4th Street. That was until 2013—when Phil Little started winding up at the corner of 2nd and Broadway during a stroll back from lunch or by way of a walk to meet a client or just from the draw of a building with such architectural character and artistry that he simply kept being pulled in its direction. Little studied art history at Centre College and has loved art and architecture ever since. 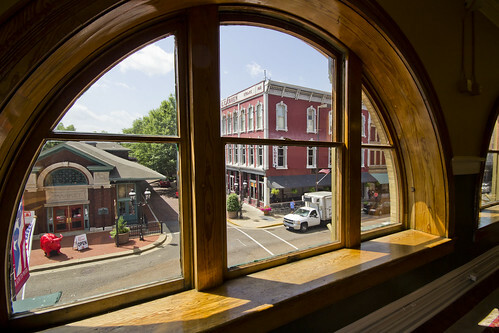 So one day he made a conscious decision to pass through the doors of one of Paducah’s historic structural cornerstones and get a real look around. “With every step I took back to our offices I numbered the reasons that we should not take on a project of this size and scope,” Little remembers. McMurry & Livingston moved into their new/old building in April, 2014. The pull was apparently irresistible, and this past spring the team of lawyers and staff picked up their furniture, files, and fixtures and moved down the street into what was once one of Paducah’s finest hotels.